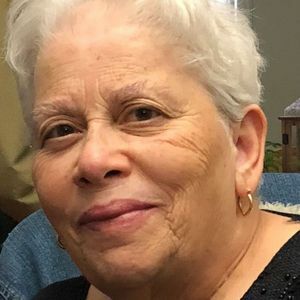 Rosemary Kolosick, age 76, of McHenry, passed away unexpectedly on Monday morning, March 18, 2019 at Northwestern Medicine McHenry Hospital. Rosemary was born December 24, 1942, in Chicago, the daughter of Joseph and Constance (Costa) Sapore. On June 4, 1966, she married Paul Kolosick, Jr., in St. Williams Catholic Church in Chicago. Rosemary was a great cook and enjoyed baking. She will always be remembered for her wonderful lasagna and bread. Rosemary was a member of St. John the Baptist Church in Johnsburg and a former member of St. Catherine Laboure in Glenview. Surviving Rosemary is her loving husband, Paul Kolosick, Jr.; children, Paul (Silvia) Kolosick, III, Connie (Todd) Griglin, and Joseph Kolosick; grandchildren, Amanda Griglin, Jordan Griglin, Samantha Kolosick, Allison Kolosick, Zachary Griglin, and Brandon Kolosick; and her brother, Joseph Sapore. Rosemary was preceded in death by her parents, Joseph and Constance Sapore. A visitation will be held on Thursday, March 21, 2019, from 5-9 p.m., at Colonial Funeral Home, 591 Ridgeview Drive, McHenry. A Funeral Mass will be said on Friday, March 22, 2019, at 10 a.m., at St. John the Baptist Church in Johnsburg. Entombment will follow in St. Joseph Cemetery, River Grove, IL. Memorials, in Rosemary's name, may be made to St. Maria Santissima Lauretana, 5854 W. Lawrence Avenue, Chicago, IL, 60630. Add your thoughts, prayers or a condolence to Rosemary's guestbook.